Shopping for jewelry should be fun, exciting, and full of happiness. Our service allows you to enjoy your shopping experience, concentrating on finding the right diamond for you. A diamond is forever, so is your love. Make the most of this time by using our service to feel comfortable during the shopping process. Different retail outlets have different experiences to offer, with different qualities of diamonds and jewelry, price points and customer service experiences. Most people do not know why there are so many different types of jewelry stores to choose from. Most people only understand price, and do not understand how to relate price to quality. In addition, most people do not understand the need for customer service when purchasing jewelry and diamonds. Most retail consumers do not have a personal relationship with an established retail jeweler. If you do have a relationship with an established jeweler, we advise you to go to your relationship jeweler when shopping for a diamond. They have a vested interest in maintaining the relationship with you and your family. They should work harder to keep you as a customer and give you more service, information, and maybe a few perks in the form of discounts, freebies, advise, or just better quality for your purchase. This type of jewelry store should spend more time with you during the diamond ring purchase process. If you do not have a personal relationship, we advise you to shop for a diamond at many different retail outlets, including Internet retailers. 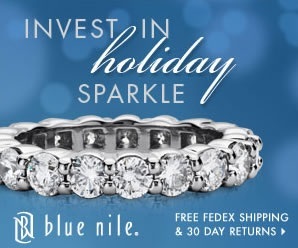 Go to the jewelers that your friends have referred you to. Shop around, visit local jewelers, look around, go to as many different diamond sellers as time permits. If the store is an established jewelry store, geared for customer satisfaction, you will receive more customer service and personal attention to establish a relationship. Some brick and mortar stores are just out to just make a sale, without the personal relationship, using price and sales tactics to manipulate you to purchase. You will know where you feel the most comfortable, by asking a series of questions that we offer you to use during the shopping process. Listen to your intuition, not the sales talk. If you are shopping online, remember you are sacrificing customer service and personal relationship for a cheaper price. Yes, you will save money on your diamond purchase, but the price difference between the brick and mortar jeweler and the Internet jewelers may be much smaller than you think, and not just measured by price. The Internet jewelers cannot offer you direct customer service like a brick and mortar jewelry store. Even the telephone customer service people are usually not trained gemologists, because they would not be on the phone speaking with you. There are a few reliable Internet jewelers (you have to do your due diligence), but you still have to analyze the difference in value added between a brick and mortar jeweler and an Internet jeweler. 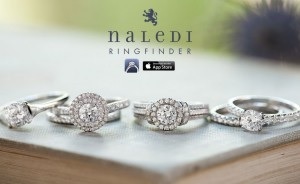 There is a value to the customer service of selecting the correct engagement ring, setting the diamond correctly at the right height, measuring her finger for the correct finger size correctly the first time, resizing the ring after you give her the ring as a surprise, after sale customer service such as wedding band selection, adjusting the ring to her liking, changes in the design in the design of the ring, etc. You must determine what is important to you in the selection of the retail venue that will sell you a diamond. Is price secondary to customer service and personal relationship? Here is a list of different types of jewelry stores and how you can choose the best jewelry store for you. Tiffany, Cartier, Van Cleef and Arpels. Bulgari, are just a few of the nationally known upscale retail jewelry stores. The brand name of each store is of primary marketing importance. People will come to these stores for what the store’s brand name represents. These stores feature the finest of jewelry, which may be one of a kind designs and types of gems. They pride themselves on presenting the best quality and jewelry designs that cannot be found elsewhere. Mostly, the customer service is very high to match their status. You may pay more for the jewelry than other types of retail stores, but the quality of the jewelry and the service in which it is presented to you is beyond measure. Is the price a lot more than another store selling similar merchandise? The difference in price is a lot less than what you receive in quality and service. You never hear of a small stone falling out of a Tiffany ring. Or the bottom of the ring flattening out on a Cartier ring. Have you ever heard of anyone complaining about Tiffany quality or service? Mall shopping is very convenient for many retail shoppers: close to home, plenty of parking, convenient shopping hours, and many stores to choose from. Most mall jewelers are part of corporate chains that have 1000’s of stores located in strategic malls around the country. The central buying office has the strength of mass purchasing power, but the company runs on profit margins to cover the massive overhead of running 1000’s of stores. The only way to increase profit margins in a shrinking profit margin industry, is to lower the quality of the merchandise to increase profit margins. That is why the majority of corporate chain mall stores do not sell high quality jewelry in their 1000’s of outlets. There is a market for lower priced lower quality jewelry presented to the consumer. There are many types of consumers with different buying patterns and motives, thus different types of retail jewelry stores. The mass merchandising mall jewelers fill a need for a specific type of consumer. Some brand name mall retail stores do carry medium to high quality jewelry. 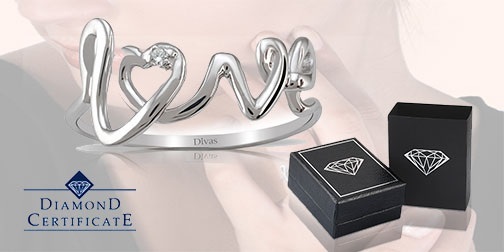 The brand name stands behind the jewelry, so the customer service and return policies should be very good. It is up to you, the consumer, to know how to analyze the quality of the jewelry to choose the best jewelry for your purchase. These types of stores sell jewelry at a discount to the premium guild type retail jewelry stores. They do not have the overhead and expenses as the premium guild stores, therefore the prices may be a bit less. You must test the quality of their customer service to see how they handle your jewelry needs. It is up to you to do your research to determine the reputation, quality of merchandise, and customer service of the local upscale retail jewelry store. Your research can include personal references to local stores that fall into this category. You may receive personal attention based on long term family relationships, which are the word of mouth referral that older established local retail jewelry stores have used for new business. The referral business is also good for you, in that the jeweler has a vested interest to satisfy your jewelry needs. They do not want to jeopardize the relationship they have with the people that referred you, so that you may get extra attention, better prices, and specialized customer service. In most major cities, there are jewelry districts in the downtown area. Several office buildings are devoted to housing the jewelry industry in each district. Importers, wholesalers, retailers, manufacturers, watch makers, jewelry repair services, all work close to each other. There is a broad range of qualities offered by the discount retailers. The problem for the retail customer is to wade through all the different types of jewelers at this level, to distinguish the reputation, quality of product, and customer service of the jeweler you are working with. You will get a better price by dealing with a discount upstairs retailer, but you have to work hard to find the best jeweler who fits the qualities of the jeweler you are looking for. How long has the store been in business? The longer in business, the better your chances of receiving years of expertise while dealing with a reputable firm. Do they back up all verbal promises in writing? Does the sales slip verify the same information as the gem lab certificate? Does the store allow you to take the diamond to an independent appraiser to verify that the diamond matches the certificate and the sales slip? What are the store return policies? Have them show you the store policy in writing.